COVER REVEAL – Poor Boy Road! I am pleased to bring you the cover reveal of Poor Boy Road by James L. Weaver, a pulse pounding thriller following a mob fixer as he returns home for the first time in sixteen years. As a mob enforcer, Jake ‘The Fixer’ Caldwell is in the dark business of breaking kneecaps and snapping bones. But each job sends him one step closer to turning into the man he swore he’d never become – his violent and abusive father. Leaving the mob is easier said than done. When his boss offers a bloody way out, Jake has no choice but to take it, even if it means confronting ghosts of old. 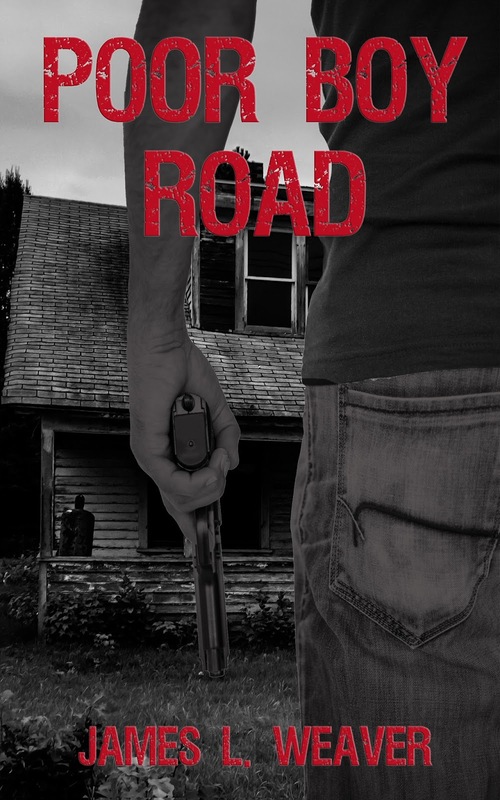 James L. Weaver is the author of the forthcoming Jake Caldwell thrillers, Poor Boy Road and Ares Road. He makes his home in Olathe, Kansas with his wife of eighteen years and two children. His previous publishing credits include a six-part story called “The Nuts” and his 5-star rated debut novel Jack & Diane. Author note: a handful of those who’ve rated it are actually not related to him! His limited free time is spent writing into the wee hours of the morning, playing parental taxi cab to his kids’ sporting endeavours, and binge watching Netflix.